It can be a daily struggle to get out of bed in the morning. Most of us will hit the snooze button a few times before we manage to get up which can often make us late for work and in a bad mood. 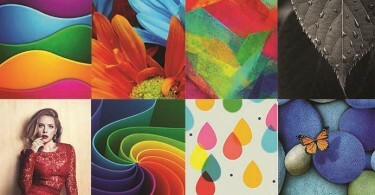 However, a collection of these clock designs make it easier for you to wake up and that too in a good mood. 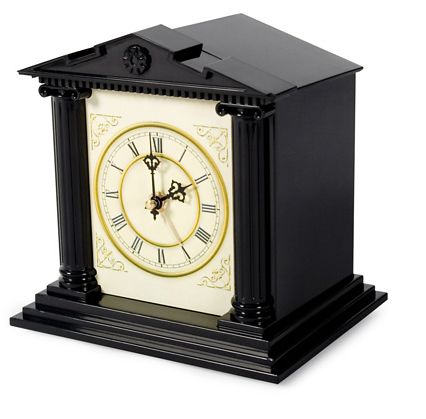 Designers have solved the answer to your problems and come up with this range of truly innovative alarm clocks. Whether you want to be woken up gradually in a soothing manner or to be woken up abruptly you will find an alarm clock suited to your needs. These designs are highly creative and this article showcases the best of the most innovative alarm clocks around. This is a great idea for those who really struggle to get out of bed in the morning. Clocky has a set of wheels, which means that when it goes off, you will have to chase it around your room to make it stop. 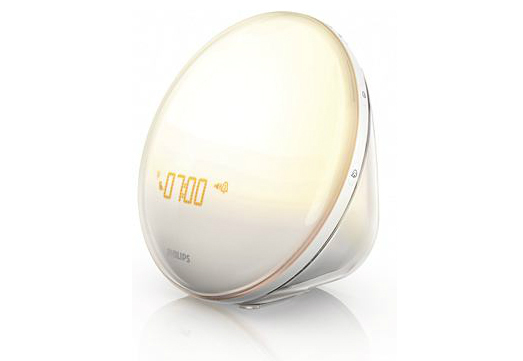 For those who enjoy a gentler wake up, this alarm clock from Phillips will gradually increase the light in your room for 30 minutes before you wake up. The natural light positively affects your energy hormones. It has been clinically proven to give you a more positive feeling when you wake up. 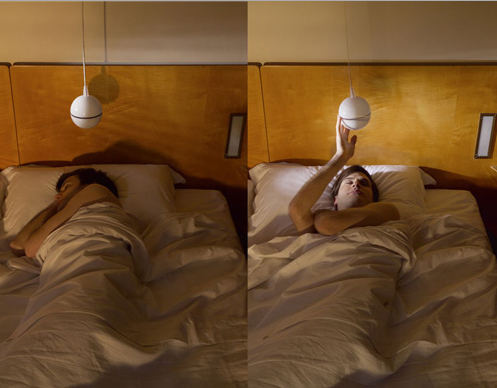 It also uses an energy saving lamp and includes natural sounds to wake you up. 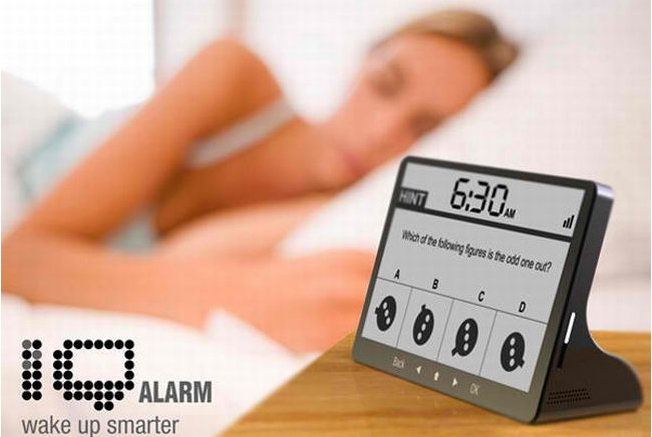 Another alarm clock designed to force you out of bed. 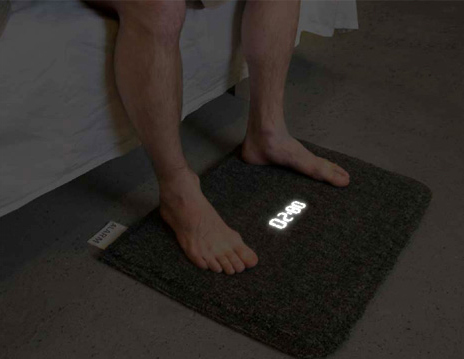 This alarm clock will only stop once you apply full pressure to it by standing on the mat. The LED system will also activate to tell you the time. 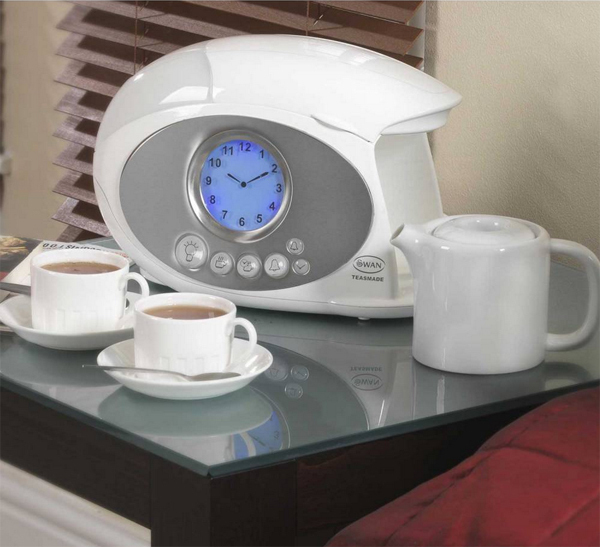 One for tea-lovers, this alarm clock comes in-built with a kettle so you can enjoy a hot mug of tea the moment you wake up. Simply place your tea bag in the pot the night before, and fill with cold water and you will have a fresh brew to start off the day right. This alarm clock could be seriously annoying in the morning! 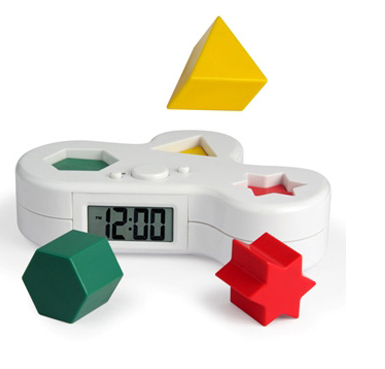 When the alarm goes off, pieces of puzzle will shoot out of the clock which you have to put into the correct slot in order to turn it off. Sound very frustrating, but guaranteed to wake you up especially when the pieces land far away. 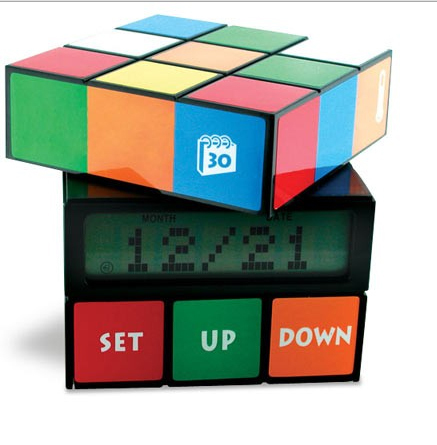 Only recommended for the brainy, this alarm will test your IQ levels when you wake up. Get ready to be asked a series of three questions in order to shut it off. It also includes a tamper resistant battery case which proves very difficult to open for those trying to cheat the alarm! For those of you who are used to staying in hotels and enjoy a wakeup call, this is the alarm you need in your life! 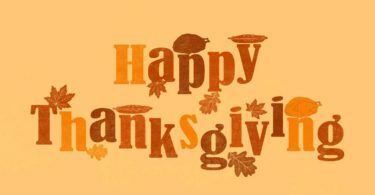 Just register online and schedule a call for the morning. 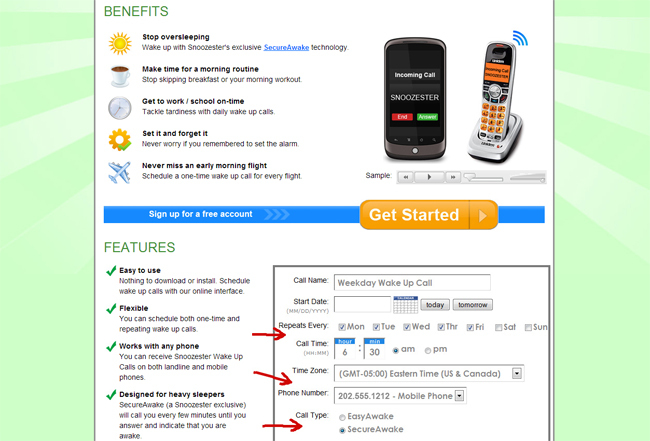 You can select from a range of ‘friendly voices’ who will ring your phone until you wake up and answer it. 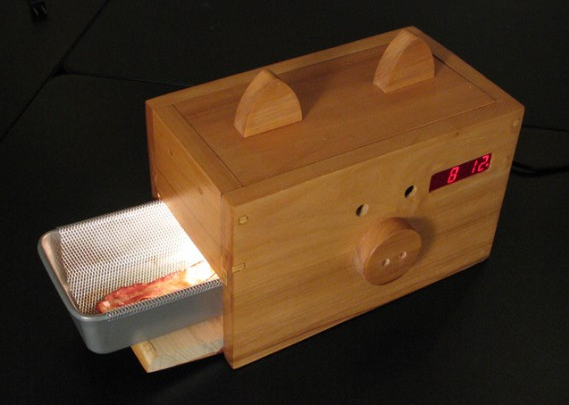 A must have for all the hung over students out there, the Wake N Bacon will fill your room with the delicious smell of bacon. Simply place some strips of bacon in the Teflon coated pan the night before, and the halogen bulb in the clock will light up to heat the bacon. Constantly waking up to the sound of your partner’s alarm? Connected wirelessly to your iPhone, the lark clock is a sleep sensor that you can wear around your wrist. 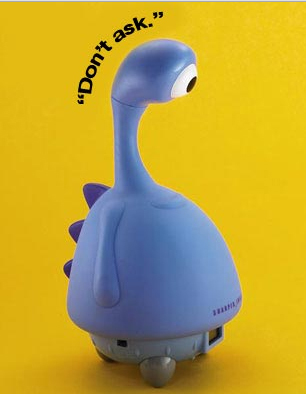 It silently vibrates when it’s time to wake you up, so it doesn’t disturb your partner. The vibration pattern changes every day and accordingly to experts means you won’t crash later in the day as you won’t experience the adrenaline rush given from a loud alarm clock. Pay the price for not getting out of bed! 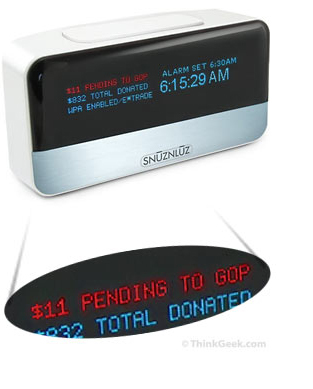 Every time you hit the snooze button on this alarm clock, you donate money to a charity that you hate. The clock is connected up to your bank account and you can choose out of 6,200 charities to support. Choosing your least favourite charity will give you more motivation not to hit that snooze button. 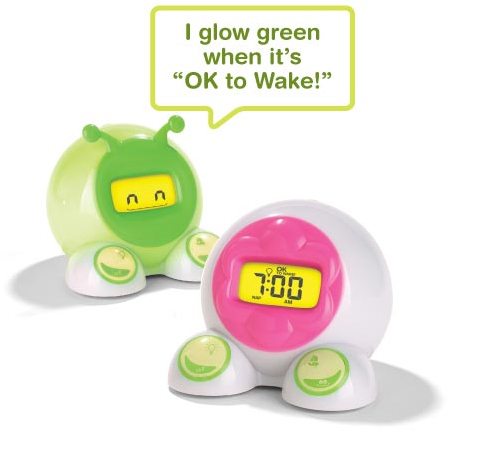 This alarm clock handily tells your kids when it’s ok for them to wake you up! 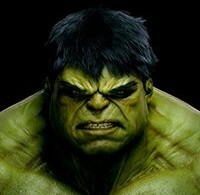 The light will change from yellow to green, to let them know when they can come to your room. Kids will take pride in waiting until the green light is on, and you will get some well-deserved rest. 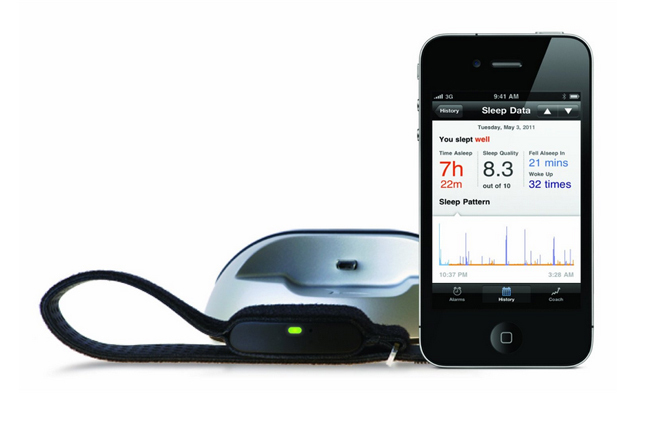 Users wear a monitor that tracks your brain waves, and it will wake up when you are in the lightest point of your sleep cycle. This will leave you feeling less groggy and tired than if you were woken up from a deep sleep. 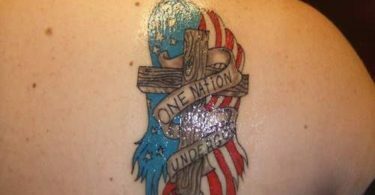 This in turn will hopefully make you more alert and have more energy for the rest of the day. Start the day off with a smile! 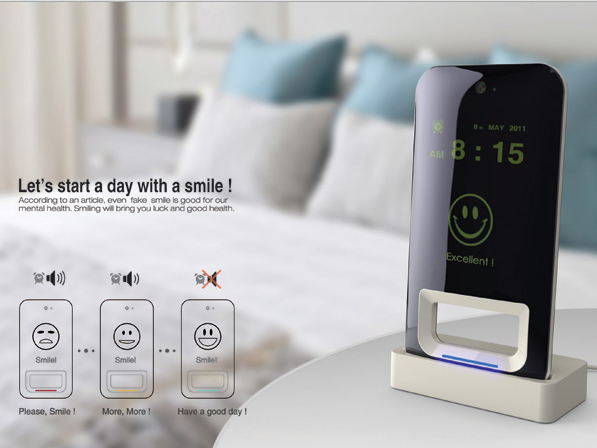 This alarm clock has facial recognition software which means you will have to smile at it to turn it off. Half smiles do not count! 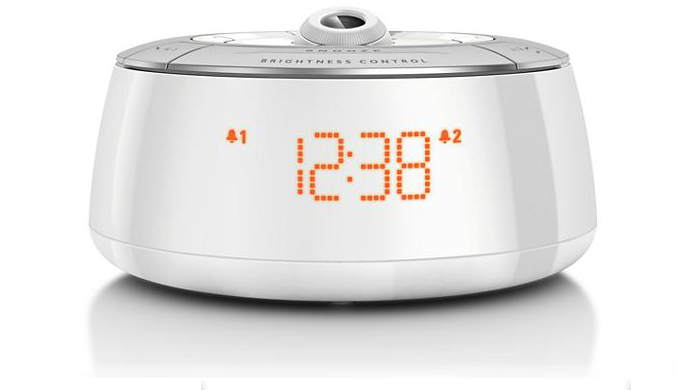 This clock uses an LED system in your pillow to help to wake you up. 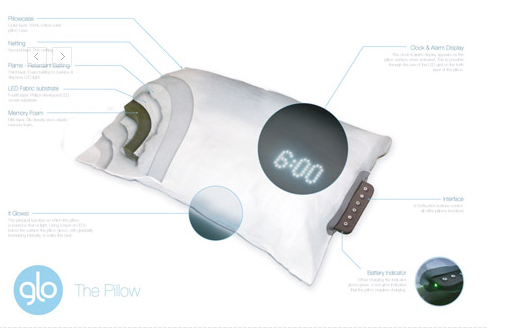 The pillow will glow lighter as it gets closer to your wake up time. This is another natural way to wake you up that should leave you feeling refreshed. It also handily shows the time on the pillow surface. Attached to your ceiling, the Sfera clock is positioned just above your head, so it will be in easy reach when you wake up. 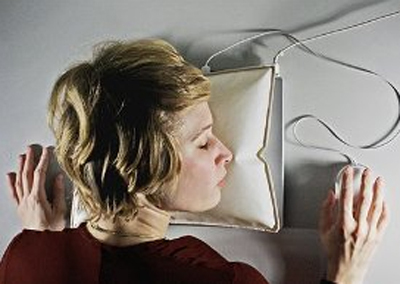 However, every time you snooze it retracts further away and eventually you will have to stand up to turn it off. Ever fallen asleep at your desk? The iSleep will inflate a pillow from your laptops exhaust vent to provide comfort and making sure you don’t crush your laptop when you fall asleep. 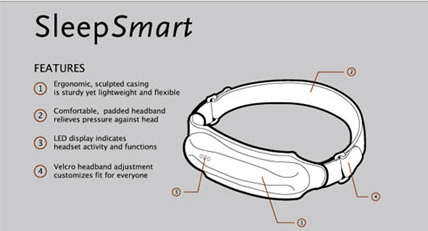 It has an integrated speaker with an alarm sound to wake you up when you need. Although it’s a great idea it is only a concept at the moment so you won’t see it in the stores just yet. This is based on the classic game, the Rubik’s cube. 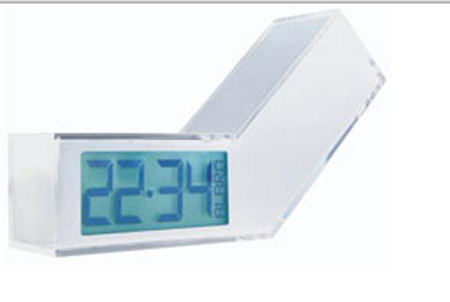 Putting a different spin on it, you have to twist the sides to change settings such as time, calendar and temperature. 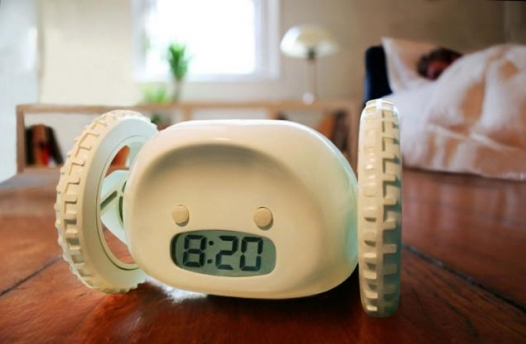 This one-eyed alien is an interactive alarm clock that will speak back to you. You can ask him what time your alarm is set for and he will let you know. When it’s time to get up, he will wake you up with a nice message, before getting more aggressive as you keep hitting that snooze button. To stop him, ring his neck! 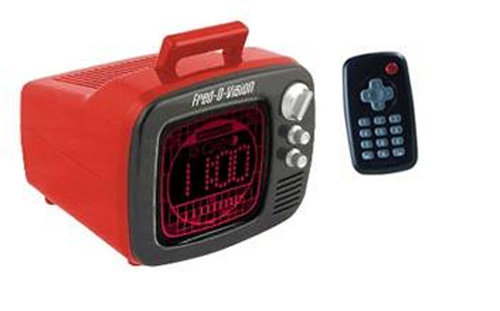 This retro alarm clock wakes you up with all the sounds from your favourite, classic TV shows. 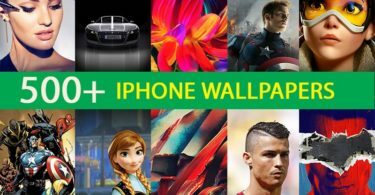 It also displays colour-changing patterns on its screen, designed to wake you up. This design from Philips will project the time on the ceiling for an easy view. You can project the time anywhere around your room and it comes with a choice of alarm sounds to wake you up when the morning comes. A simple but effective design, this alarm clock is really easy to turn off. Tilt it one way to turn it on, and the other to turn it off. 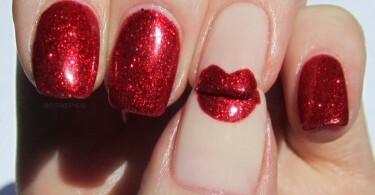 Comes in a range of colours. This is one for those who enjoy a tranquil environment. 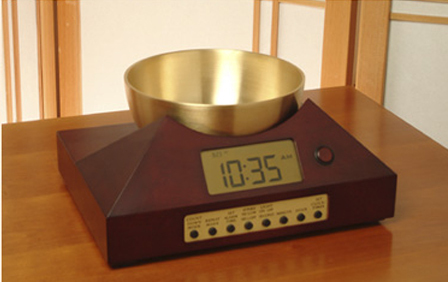 The brass bowl gong mechanism will fill your room with meditative sounds that will increase in frequency until you turn it off. Any motor racing fans out there will love this design. 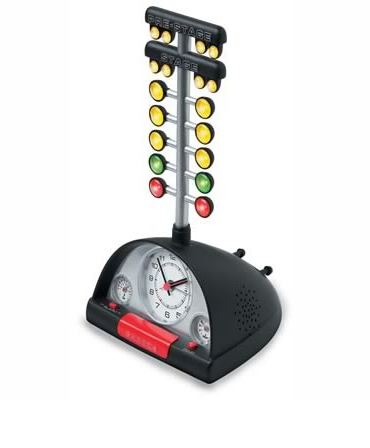 The clock is shaped like a dashboard and when the alarm goes off all the colored lights will lit up your room. As the lights countdown to green, the sounds of the racetrack come to life and will give you a noisy wake up call! 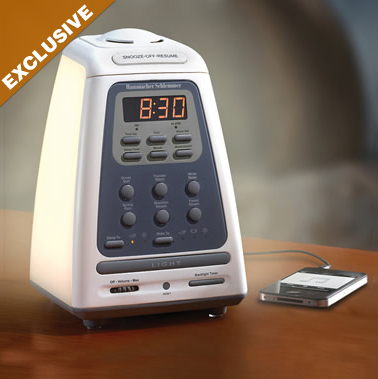 Exactly as the title suggests, this alarm clock wakes you up slowly and peacefully from your slumber. This involves increasingly light, stimulating aromas and nature sounds 30 minutes before you wake up. Then, gentle chimes will play and gradually get louder till you are fully awake.